Chef Stuart Raymond has been one of the culinary leaders in Sudbury for the better part of two decades. Born and raised in Johannesburg, South Africa, Chef Stuart attended the prestigious “Tadmor” hotel school in Tel-Aviv Israel, graduating as a kosher chef in 1997. He then travelled the world gaining experience and influences before finally landing in Canada’s most multi-cultural city, Toronto. Taking his international knowledge of cuisine, Chef Stuart opened and ran some of Toronto’s best restaurants including a stint at the historical Windsor Arms hotel. Chef married Colleen, a Sudbury girl and as they were expecting their first child they decided to move to Sudbury. In 1997, he opened Simons Café and Deli (named after his father and his son). 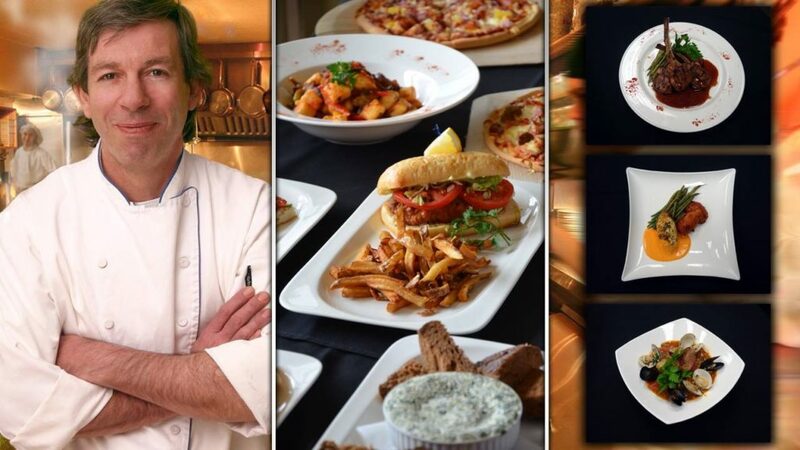 Sudbury discovered Chef Stuart quickly as he began to produce some of the best food in the city’s history. Proudly accepting his new role as the executive chef of the Northbury Hotels’ Thyme Out restaurant has once again put his award-winning cuisine into full swing and invites all to join us for a delicious and memorable dining experience.